How do you take a screenshot or print screen on a Chromebook? Turns out there is a simple keyboard shortcut to do this. Let me tell you that right away! Ctrl + Window Switcher. This takes a screenshot of the full screen. Note: You will see this “Window switcher” key in this article a few times. This is the key that I am talking about. This article will help you learn multiple ways to take screenshots on your Chromebook, and give additional instructions like where to find those images and how to edit them etc. Here is a video showing how to do this! To take a screenshot of a specific area of the screen, press Ctrl+ Shift+ Window Switcher. This keyboard shortcut opens a free form selection tool. Select the area of the screen that you want to capture, and let go the keys. When I was a technical writer, I used a Windows keyboard shortcut to take screenshots of apps so that I don’t have to crop them after taking a regular screenshot. It used to save a lot of time for me. On Chrome OS, whenever want to take screenshot of a specific app, I have been using the CTRL + SHIFT + ]] to take screenshots of the area where the app is displayed. Sometimes I even took screenshots of the entire desktop and then cropped them. I don’t have to do any of that anymore! Turns out, I can use CTRL + ALT + ]] keys to take screenshot of any specific app or window that is open. Here is a video of me explaining how this works! If you have a convertible Chromebook, this will be really useful. When the Chromebook is in tablet mode, the keyboard Chrome OS will disable the keyboard. You will need something different from a keyboard shortcut in this scenario. Google recently added the keyboard shortcut that Android phones use, to Chrome OS. On convertible Chromebooks, you can press and hold down Power + Volume Down keys to take a screenshot. Yes! the Google Assistant. 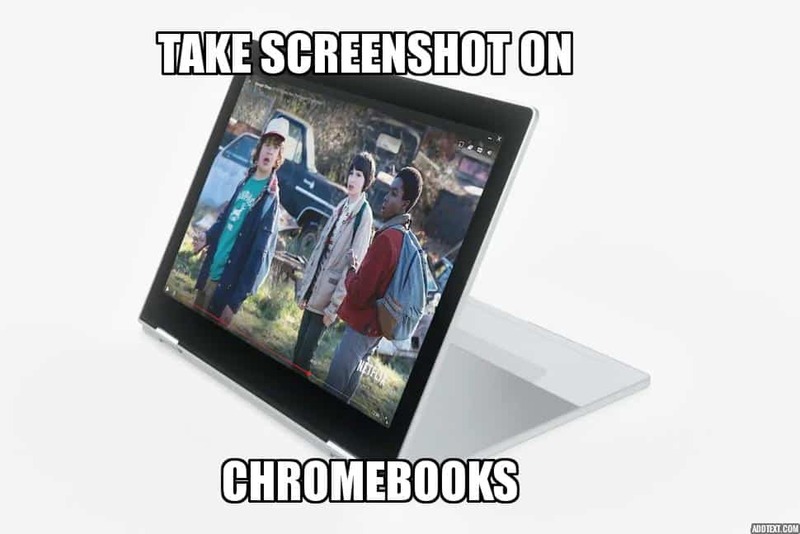 Simply say “Okay Google, take a screenshot” and the Pixelbook will take the screenshot for you. It will now prompt you to open the screenshot in any of the supported apps that you have installed. If you do not do this, this screenshot will not be stored. This works the same way on Android phones too. Screenshots will be saved only if you open it using an app. If not, it goes away after few seconds. 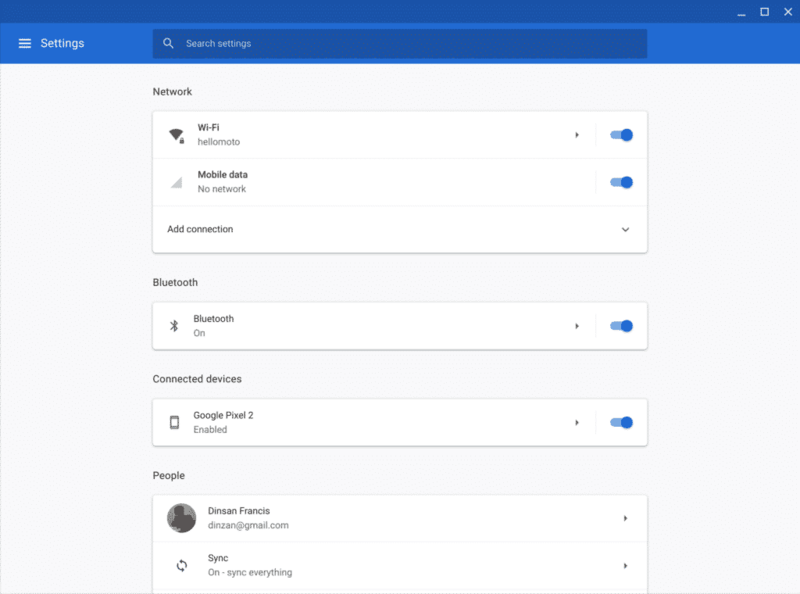 Launch Google Assistant using the dedicated Assistant key on your Pixelbook. Now, simply type in “take a screenshot”. Pixelbook will now take a screenshot and ask you to open it in an image editor app. Similar to the voice command, the screenshot is not saved unless you do so using an app. Capture region – to take a screenshot of an area of the screen. If you are using Google Chrome browser, go to Settings (three dots on the top right corner) and go to More tools. Here, look for Take screenshot. This works as advertised. This is probably the least used method to take screenshot on Chromebooks and Pixelbooks. What if you want to take a screenshot of your Chromebook’s login screen? You can do the Ctrl and ]] (Window switcher key) combination here as well! You can access this screenshot after you log in, from your Downloads folder. We don’t have a snip tool on Chrome OS like you have on Windows, but there are plenty of extensions and apps that you can use. If you regularly take screenshots and edit them, you can install an extension to do this. Awesome Screenshot is a popular Chrome extension for those who take a lot of screenshots during their browsing sessions. Capture the page or any part of it, annotate it with rectangles, circles, arrows, lines, and text, blur sensitive info.. list of features goes on. This extension supports saving to Google Drive as well. Where Do I Find Screenshots I Took? Chrome OS gives you a nice little notification after taking a screenshot. You can click the notification itself to open the captured screenshot. The file name will contain the date and time of the screen capture. For example Screenshot 2013-05-28 at 8.32.39 PM.png You can, of course, rename this later (Ctrl + Enter to rename the file). The notification will also give you more options like Copy to Clipboard and Annotating. When you click Annotate Image, the screenshot will open in Google Keep. You can annotate the image using the tools available on Google Keep and save it. The screenshots will be saved in the Downloads section of the Files app. Do not get confused because of the “Downloads” folder name. Chrome OS calls the local file drive “Downloads”. You can drag and drop the screenshot to the Google Drive section of the Files app to upload it to Google Drive.